This airship is under construction. Therefore, please excuse its exposed superstructure while it's being worked on. The Koopa Troop hopes to have it completed and fully operational soon. “Nappa: "Vegeta, what does the scouter say about [Jazza] his dementia level?" —Nappa and Vegeta, discussing FrostyFireYoshi's sanity. Which Neglected Mario Character Are You? IT WAS BOWSER!!! As you can tell from the picture/error message, whichever appears. I seriously need help beating the Fawful Express! ...Wait, scratch that. "I HAVE VICTORY!" - Fawful quote!! I'm kinda desperate to help, so I was thinking of creating and uploading images and making a table for all the Status Effects for Bowser & the Mario Bros in M&L:BiS. Please let me know what you think under the important stuff on my talk page. GRATUITOUS ONLINE USER COUNTER GET!!!! Copy and paste if you're a Dragonforce fan! This is a compilation of my doodles. Enjoy. 20px20px20px20px This user is one of the Most Evil Alliance of Doom & Darkness. This user lives in Dark Land. More specifically, in Bowser's Castle. This user thinks Tucayo is EPIC WIN! This user is a friend of Edofenrir. 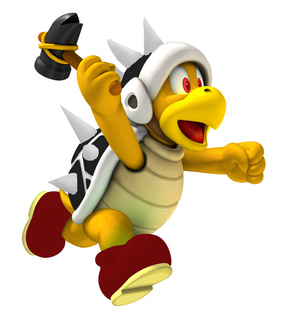 This user is on Bowser's side.BOWSER RULES!!! 50px This user is friends with Frostyfireyoshi. This user was part of the Planet Descriptions PipeProject. This user improved all Bowser and Bowser Jr. galaxies for the Planet Descriptions PipeProject. File:DarkFawfulRadar.jpg This user actually has DS Lite that looks like Dark Fawful's "radar"! The colour is called Chinese Dragon! This user's birthday is on January 16th. This user is a Sikh, and proud of it!. BEWARE: This user may have FURY! Pokémon SoulSilver! This user owns a copy of Pokémon SoulSilver. This user likes Banoffee PIE!. 80px This user watches youtube poop. AND YOU Gotta watch it too. This user believes life is just a big RPG and just received 60 EXP for posting this userbox. 45px This user likes dragons! File:Dot.pngFile:Dot.png This user plays retro games. This user is going crazy!!!!!!!!!!! MK This user's favorite Mario Kart track is Bowser's Castle. File:Box open.png This user needs more userboxes. MORE, I tell you, more!!! Mwahahaha! This user thinks the best Super Smash Bros. character is Bowser. This user regularly makes the character, Zelda, lose in Super Smash Bros. Brawl. File:Plus sign.png This user creates his own userboxes. 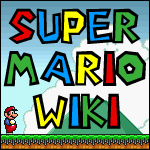 This user is a Super Mario Wiki contributor. This is the only userbox. This user likes to spin in circles. WHEEEEEEE! This User is angry, VERY ANGRY. File:SPP SRex.PNG This user doesn't have many friends. This user thinks Yoshis are so utterly destructable. MwaHaHaHa!!!!!!!. Hey,hey,hey! This is Doomship 2, blasting Bob-ombs at you! Or rather, I will be as soon as Ludwig and Iggy finish my construction (Lemmy is secretly helping. This is why I rhyme a lot, why I have 2 bouncy ball deflector cannons and tonnes of Rocket Engines on my stern/back). This wiki better look out, for Airships just got a whole new scale of evilness, just because of me. KRAHAHAHAHA!!! DS2 is an SMB3-style airship, very long, tonnes of cannons(Bob-omb & normal) & Bill Blasters, a few Bob-ulk cannons, a small mast on the bow, behind his eyes & mouth(red+black), made of short Blasters that create a Bullet Bill crossfire, traps, spike pits, Giant Rocket Engine thrusters on the back, elite troops, Tank carriers, Scorchers (1-man craft with a rocket engine weapon) & Spiked Scorchers, a Treasure Ship covered in spikes & Bob-ombs, plus the Mega Spiked Scorcher operated by Lord Bowser if he is in command. 1. The Phantom of the Opera is awesome. If it is in a theatre near you, watch it, otherwise you need a holiday to London. So sad at the end(*I'M NOT SPOILING IT*), one of the few things that actually has me close to tears. 2. I'm an Internet freak who just spends so much time looking at memes, DeviantArt, etc. 3. The BJOADN Article is the best article of the Wiki, isn't it? You WILL NOT disagree!! 4. Whoever I support in the World Cup goes out shortly afterwards. I only started exploiting this during the Germany-Argentina match. All I said was "COME ON ARGENTINA!!! ", and they lost 4-0 to Germany. ^_^ Unfortunately it will no doubt backfire because of this exploitation. 5. I'm friends with the author Chris d'Lacey. Yes. 6. I don't have a weird fact because I have too many to choose from. 7. Any users out there with BBC1 TV channel will probably have been watching Matt Smith's first series as The Doctor. Therefore you will know that Episodes 8 & 9 featured some new Silurians. Think back to the teaser trailer shown in Dec 09/Jan 10. A strange reptilian mask appears at the end. Did teh Intarwebz speculate about it? No. But I said (to a friend only) that Silurians would return. I was right. 8. Requiem For A Tower makes anything EPIC. The first part of Bagi, Monster of Mighty Nature. With English subtitles. A great film, but sad. This is why I fake an interest in like football. IT'S FOOTBALL, NOT SOCCER. Silly Americans. DO NOT mess with Falcon Kirby. EVER. —30 Seconds to Mars, Search and Destroy, from the album "This Is War"
The awesomely stylish Bowser sig: Frostyfireyoshi...to destroy you! The perplexing insane sig: Remember, Dementia strikes NOW! The vicious, haunted sig: Whatever you do, don't be afraid of the dark.